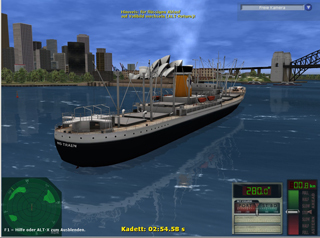 Trade- and shipsimulation. Our popular classic game Ports Of Call comes to new life. 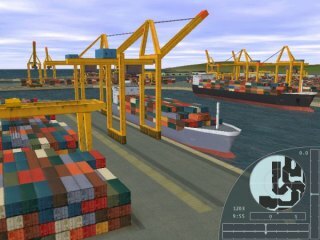 After so many years POC (more than 20 years sice the first Amiga Version in 1986) is still very popular and we still develop new versions of this games, with new technical features as 3d ship simulation and new features with more ships and harbours, multi freights and many more for the trading/ economic part. The new Ports Of Call (economic part) is called POC XXL works with two parts, the trade part (called POC XXL) and the optional simulation part (POC Sim3d/Sim3dII). 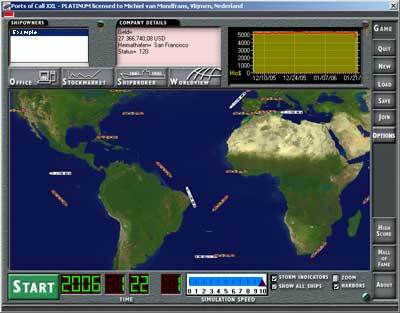 POC XXL will call POC Sim3dII when a actual ship simulation for steering is wanted. 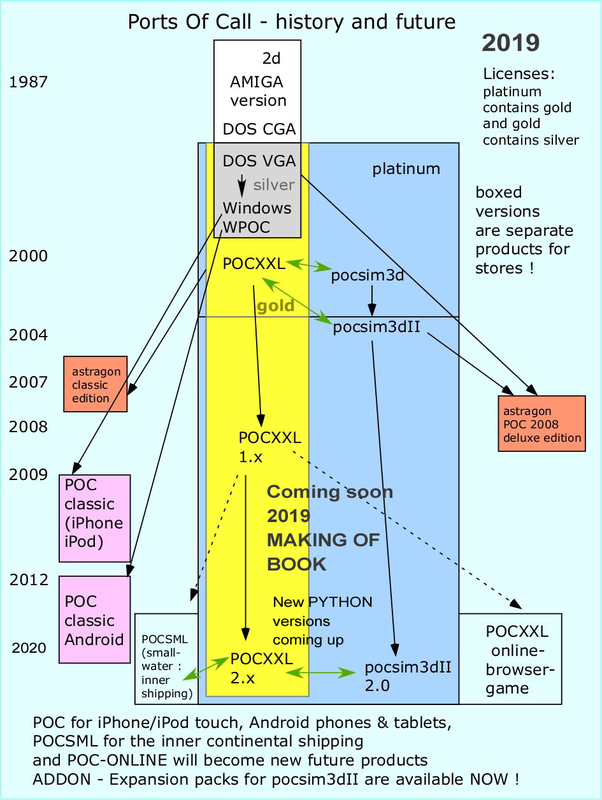 Also a 2d simulator is contained in POC XXL. But POC Sim3dII can also be played as a standalone game. -	minimum SILVER LICENSE needed! - minimum a GOLD LICENSE ! Help us develop more violence free games like Ports Of Call. We never had enough financial response in the past to do so. If you ever played POC on the Amiga with an illegal copy (this were really lot of people) now you can honor our work in buying a POC License also. Think of why we never come out with sequels of POC? We have enough ideas laying around. But still paying for a game seems to be something strange not many people like to do. If you are interested in sequels of POC and the idea of POC please write us and also support us by getting a licence. Dieses Werk ist urheberrechtlich geschuetzt. Die dadurch begruendeten Rechte, insbesondere die der Uebersetzung, des Nachdrucks, der Entnahme von Abbildungen und Tabellen, der Funksendung, der (Mikro)verfilmung oder der Vervielfaeltigung auf anderen Wegen und der Verbreitung und/oder Speicherung in Datenverarbeitungsanlagen, bleiben, auch bei nur auszugsweiser Verwertung, vorbehalten. Eine Vervielfaeltigung dieses Werkes oder von Teilen dieses Werkes ist auch im Einzelfall nur in den Grenzen der gesetzlichen Bestimmungen des Urheberrechtsgesetzes der Bundesrepublik Deutschland vom 09. September 1965 in der jeweils geltenden Fassung zulaessig. Sie ist GRUNDSAETZLICH verguetungspflichtig. Zuwiderhandlungen unterliegen den Strafbestimmungen des Urheberrechtsgesetzes. Achtung das bedeutet: die Verteilung oder Verkauf oder Erstellung von CDROMs mit PortsOfCall oder PocSim3d IST OHNE AUSDRUECKLICHE ERLAUBNIS NICHT GESTATTET, auch nicht ueber Online Auktionen z.B. eBay - bitte alle Verletzungen an poc@rdklein.de melden. Against violence in computer games? Support the development of MORE violence-free games by buying a license of Ports of Call. 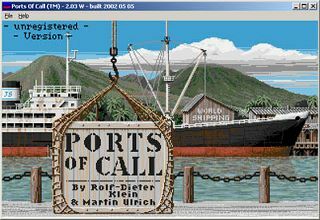 Versions of Ports Of Call are available at the Market Place. They are about the same as the classic versions, with multilanguage support and upcoming updates. 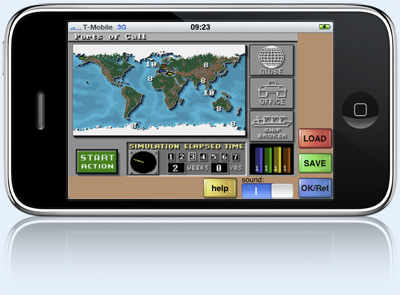 Versions of Ports Of Call are available at the App Store for your iPhone. They are about the same as the classic versions, with multilanguage support and upcoming updates.